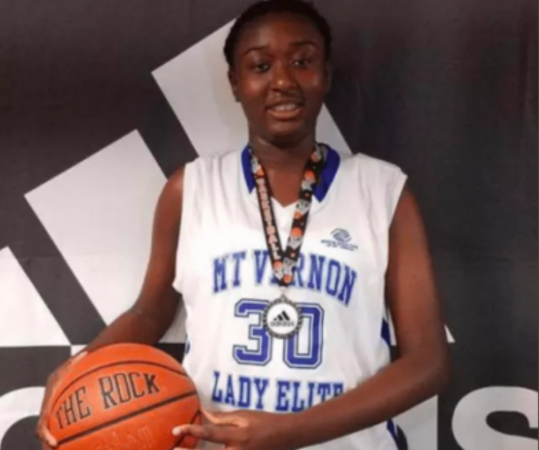 NBC New York reports that 13-year old high school athlete was shot dead by a stray bullet on New Years Eve in Mount Vernon New York. 13-year old Shamoya McKenzie was sitting in the backseat of a car driving by Pease Street when gunshots rang out around 2:30 that afternoon. She was hit in the head and the driver was shot in the arm. McKenzie was pronounced dead at Mount Vernon hospital. She was a standout athlete and student at Graham School as 100 classmates gathered at the gym for McKenzie’s memorial. Her mother told NBC New York that she received a call from UCONN to play basketball in the future. There is a $2,500 reward for her killer.